Proving that his arachnid powers go beyond simple wall-crawling antics, Peter Parker has demonstrated his abity to reconstitute himself from a pile of dust, as Tom Holland’s hero makes a surprise appearance in the trailer for upcoming Marvel sequel Spider-Man: Far From Home, after a well-documented death in last year’s Infinity War. 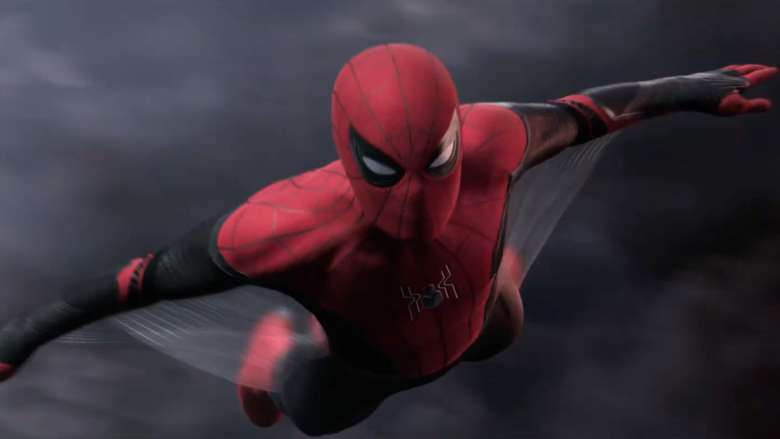 The new trailer, which shows off a globetrotting adventure for Spidey and his pals Ned (Jacob Batalon) and Michelle (Zendaya), is filled with entertaining gags as well as awesome action scenes. The trailer reveals Nick Fury (Samuel L. Jackson, also rising from the literal ashes) will recruit Peter for a mission to stop a mysterious group pf villains, called the Elementals. Plus, if taking out the Periodic Table wasn’t enough, it looks like we’ll also be treated to the debut of comic book supervillain Mysterio (Jake Gyllenhaal, of all people! ), complete with fishbowl helmet! Despite probably being itself a MASSIVE SPOILER for Avengers: Endgame, this trailer sure did get my spidey senses tingling!